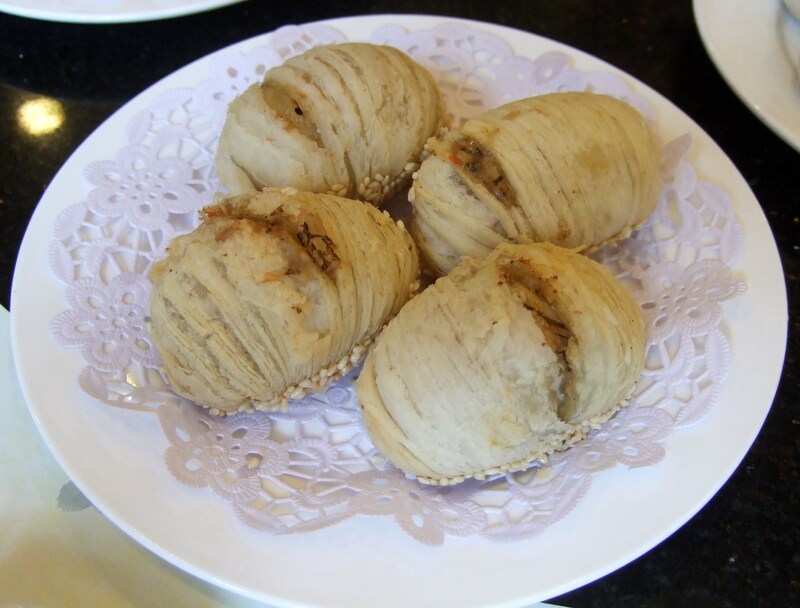 Posted by pacejmiller in China, Food, Reviews, Travel. Back in Shanghai after our little trip to Hanghzou and what’s the first thing we do? Go eat more food. 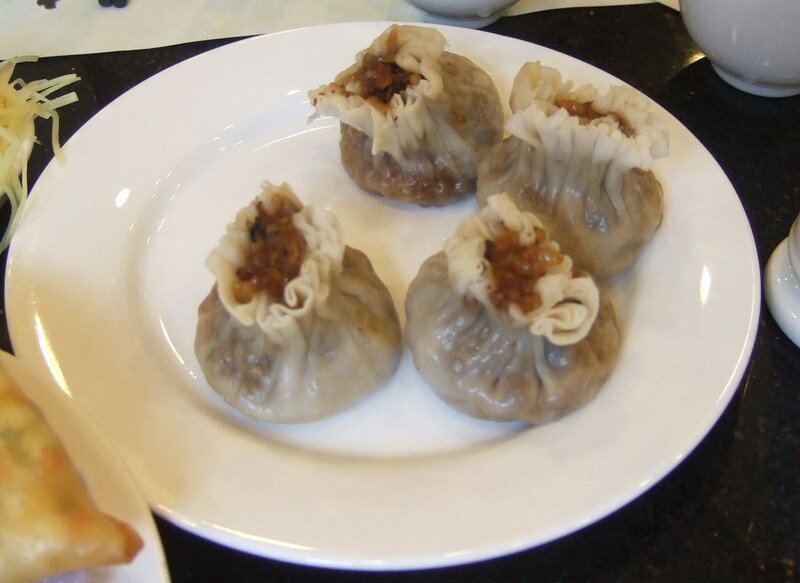 Xia long bao (steamed buns with juicy meat inside) is one of my favourite foods in the world, and according to locals there is no place better than Nanxiang Steamed Bun Restaurant located in the popular downtown district of Huangpu at the Yuyuan Gardens. I was very excited for this visit. How could I not be? I absolutely adored the Xialongbao from Taiwan’s famous Ding Tai Fung (review here), and Shanghai is where the dish originated from. Nanxiang Mantou Dian (translated into ‘Nanxiang Steamed Bun Restaurant’ according to the brochure I picked up) is a funny place. It has three floors of differing levels of quality and prices. On the ground floor, you have the takeaway food for the ‘commoners’, who form massive snake-like lines all day just to get their hands on the cheapest versions of the steamed buns available (I think around 20RMB for 10). If you want the better quality stuff, head to the second floor, where you’ll probably have to wait a bit for a table. And if you want the best quality stuff, take the steps to the third floor, where each customer has a minimum spend requirement of 150 RMB (around 22 bucks AUD). Naturally, we went straight to the top floor. We only had to wait around 20 minutes for a table, which was pretty good, considering how packed it looked. I don’t really understand how the three-level system works — I mean, shouldn’t they always try and make the best tasting buns possible? Does it mean that they purposely make a less than perfect bun so they can sell it for cheaper? I dunno, but what I do know is that the level three menu is amazing, and contains dishes that you cannot order on the other levels. Whereas Din Tai Fung essentially only had a couple of versions of the xialongbao, at Nanxiang there are literally dozens of variations. Yes, the differences are predominantly in the fillings, but it was very stressful deciding which ones we were going to order because we wanted to have the tastiest we could possibly have. In the end, we went with a wide variety of different dishes. 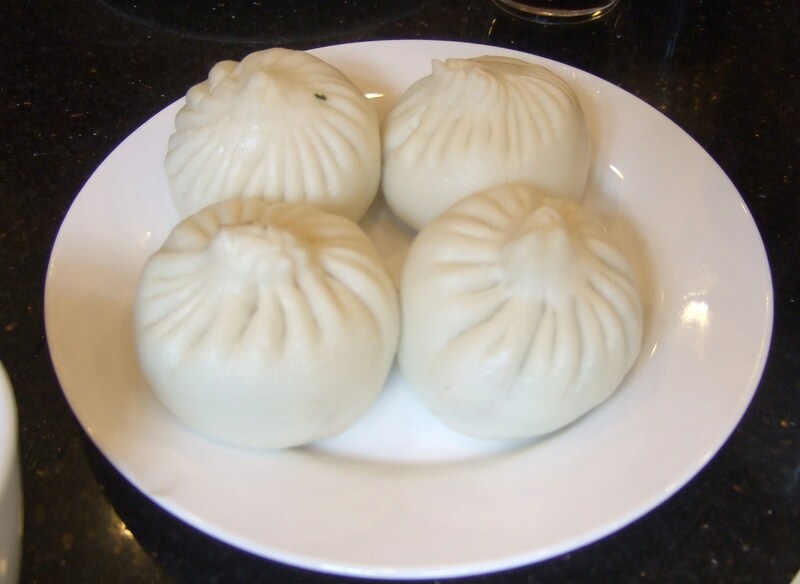 First up, the traditional steamed bun (not xialongbao) with a thick outer skin and meat filling inside. The type you might find in the frozen goods isle of an Asian grocery. This was, of course, several levels above your average supermarket bun. Nanxiang’s was exceptional — a perfect mix of fluffiness on the outside and juicy pork on the inside. Next up, the Steamed Bun With Glutinous Rice Stuffing, which doesn’t look great because it was filled with flavoursome sticky rice, but it was actually sensational, one of my favourites of the day. The skin was a little dry on the outside (meaning you had to eat it quickly before it became hard), but I couldn’t find any faults with the flavours inside. This was the Spring Roll with Crab Roe Stuffing and it was brilliant. 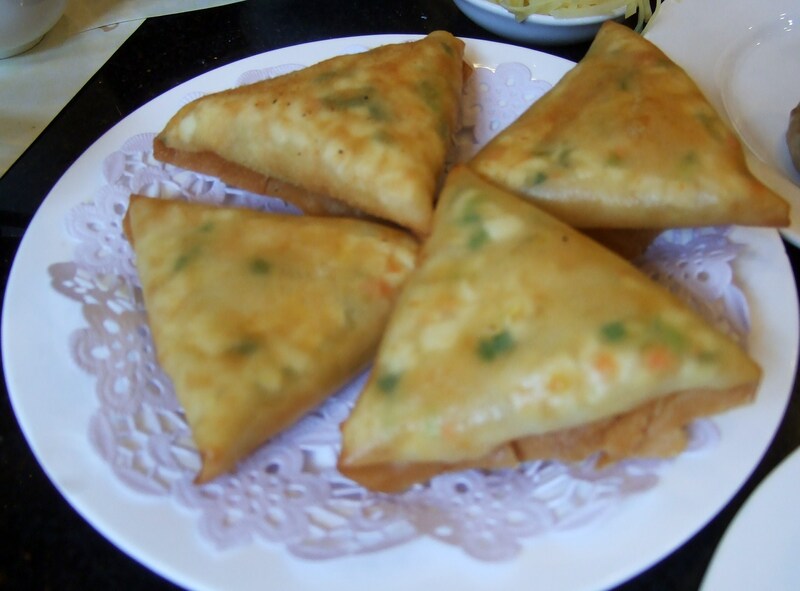 Not really a spring roll in the traditional sense but it had a similar stuffing, except in massive triangles, so I suppose it passes. Ahh, this I definitely recall — the radish pastry. 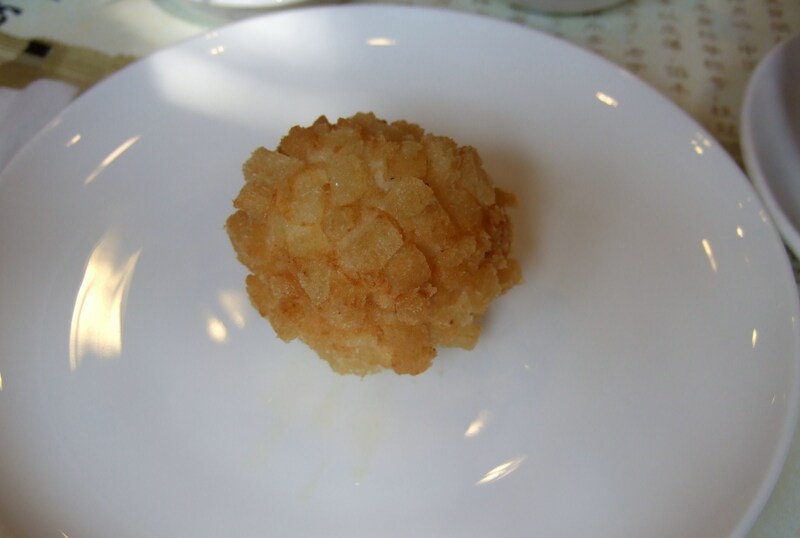 This one has a thin, flaky outside and the inside is filled with salty and spicy, finely sliced radish. I’ve had this many times in Shanghainese restaurants in Australia and I must say the Nanxiang version didn’t particularly stand out. Now we get to the ‘must haves’ from Nanxiang. This is the King Size Crab Roe Steamed Soup Bun, a mammoth steamed bun with so much crab roe soup in their that you actually drink it with a straw. A bit bizarre, even for me, but the soup was terrific. I even ate the skin afterwards. A classic dish you should order just to see it in person. This was the Shrimp Ball with Crab Roe Soup (according to the brochure) but it was really a fried ball with bread crumbs on the outside and crab on the inside. Very unique and very tasty. I think I went back for seconds on this one because it was so good. 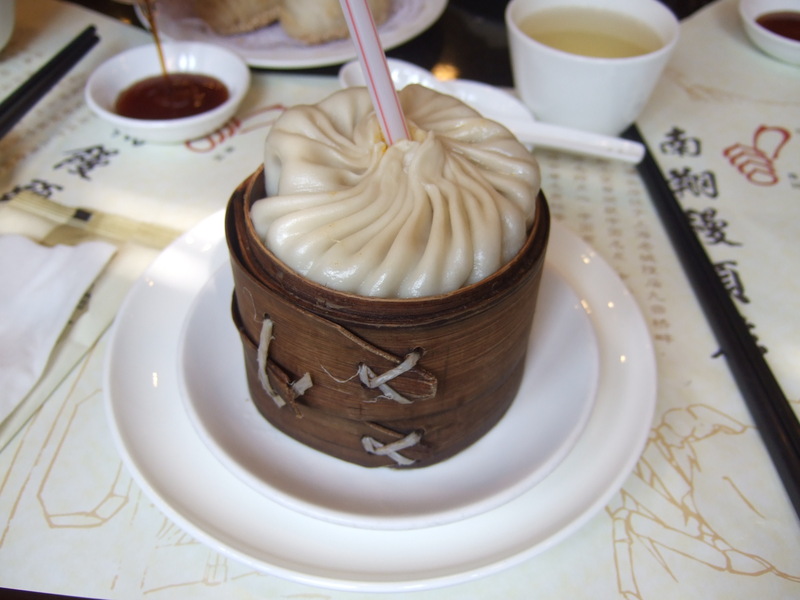 And of course, last but not least, the Xiaolongbao. I only have one photo here because they all look the same, but we had stacks and stacks of them (including ones with fresh meat, with crab roe, vegetables, shrimp, etc). In terms of the quality and the taste, I would have to say Din Tai Fung is slightly ahead with its super thin skin and high quality meat on the inside. 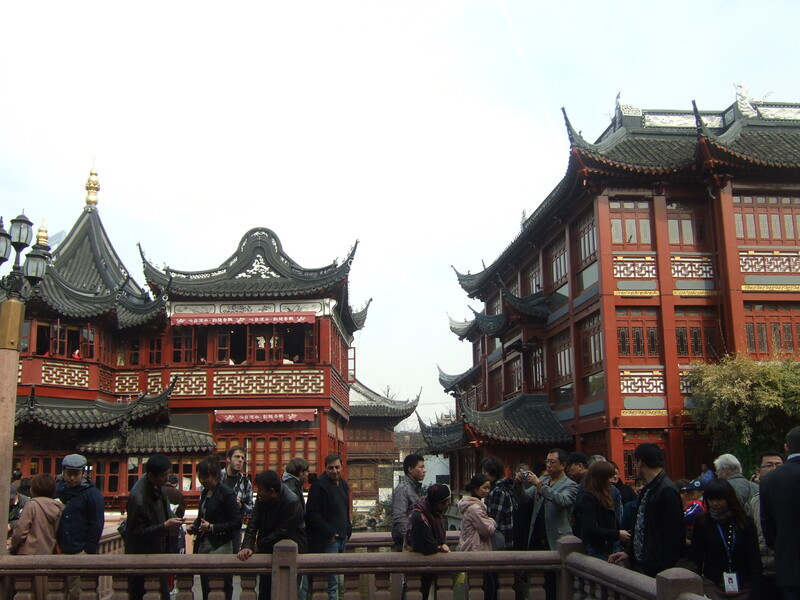 However, that is not to say Nanxiang is not exceptional too. They make theirs with thicker skin, which might appeal more to some eaters, and they certainly do have the greater variety. 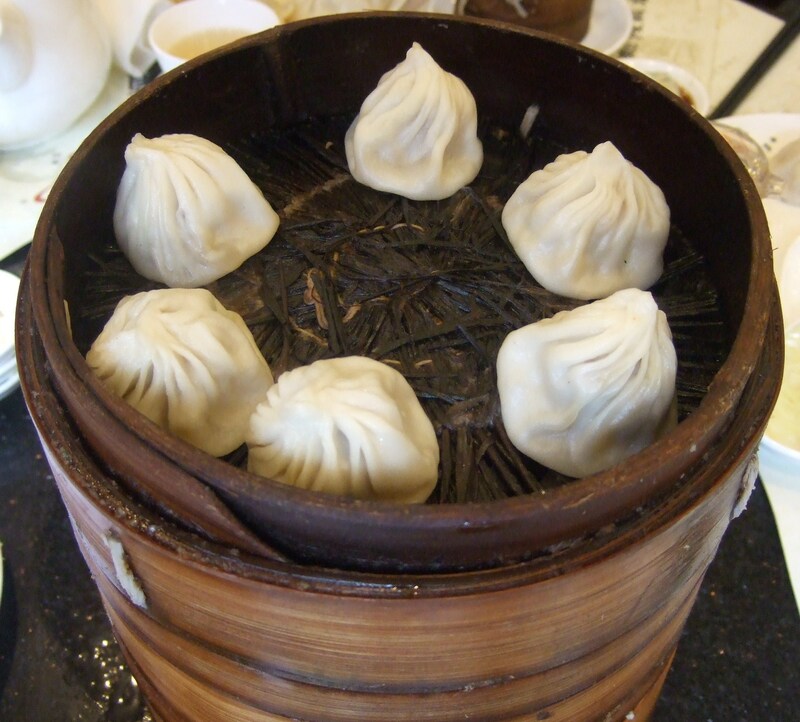 Definitely a must visit for those wanting to sample the best food Shanghai has to offer. 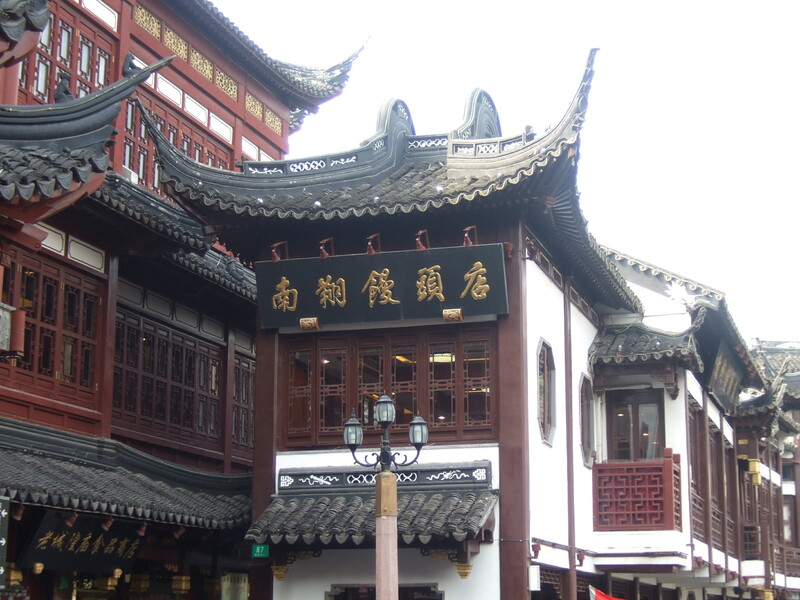 PS: Address — Yuyuan Road, Old Town God’s Temple, Shanghai, China; Tel — 86-21-63554206; Opening Hours — 7am-10pm. PPS: There are branches of Nanxiang Steamed Bun Restaurant around the world in Japan (Tokyo Roppongi, Fukuoka and Shibuya), Seoul, Hong Kong, Singapore and Indonesia — but based on my experiences with Din Tai Fung in Singapore and Sydney, the original is always the best. Is this in ShangHai Cheng Huang Miao? Famous for its local snack?